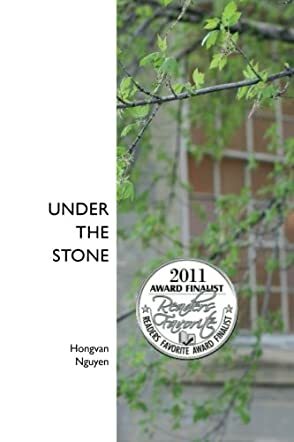 Hongvan Nguyen is an author of two poetry books, Under the Stone and the Chickadees. Her second book, The Chickadees, won 1st Place Award with Five Star Publications for its Royal Dragonfly Book Competition. She was born in Vietnam, but came to refuge in the United States with her mother after the Vietnamese Civil War ended in 1975 when South Vietnam was taken over and occupied by the North Communists. Joining millions of Vietnamese to flee from the brutal North Communist regime and to refuge in free countries all over the world, Nguyen is now happily living in America, and for that reason, she likes to write about her unforgettable memories of the Vietnam war and its changing effect, which was the main cause why she ended up living in America. She had many poems previously published by the International Library of Poetry, the Noble House and the Famous Poets Society. She has an AA degree in computer studies and a BA degree in English from George Mason University with a concentration in poetry and a minor in philosophy. Under the Stone is a book of poetry. Featured are poems written in many different forms, as well as poems written about many different topics. Some poems are joyful and happy, while some are about things that are sad. Some of the poems that I liked the most are: "Once Upon My High School Time"; "In the Summer Garden"; "December Stanza"; "Seasonal Flowers"; "On the 4th of July"; "Spring Has Come Back" and "Lullaby for a Sleeping Child." These poems and many others in this book are not only fun to read, the effects they have on you give you new and interesting places to think about, new ideas and a new language in poetry. I loved the Lullaby Child poem because of the sweetness of the feeling it gives while reading it. The words calmly flow throughout the poem as it describes the precious sleeping child. Since I don't read a lot of poetry, this book was new and different for me, giving me a different aspect to my usual reading. The poems were interesting and a lot of fun to read, and reading them a second time, paying attention to the easy flowing words, was emotional and gave me a musical feeling. Not all of the poems in the book flow easily, though...just the ones I picked as favorites. I enjoyed this book and could feel the heart and emotions of the author as I read the poems.